Seems item finders are entering the world of augmented reality as we now have a device that lets you locate tagged items in your home. Our lives are hectic enough. Adding in extra stresses like new jobs, growing families, and more technological devices can spell disaster for organization. It’s easy to get sidetracked and lose touch with the essential tangible items we need to work, drive the kids to soccer practice, or pay the pizza delivery guy. According to a study by esure home insurance, it appears that losing items like keys, wallets, and other common items we use on a regular basis is more common than we think. The study found that three-quarters of all lost items are in the home. They also noted that adults lose, on average, ten minutes of every day searching for these items. Those are ten minutes people can’t afford to give up when they’re already running late for work, school, or meetups. So what’s the answer? In comes Pixie with a solution to a problem we all too commonly face. 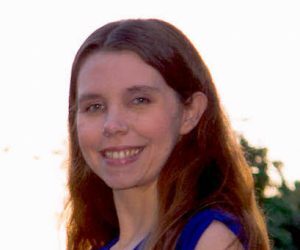 California-based company Pixie Technology was founded back in 2011 and has since received numerous rounds of funding for the development of their product. Today, their system of Bluetooth fobs and an augmented reality app enable users to more easily, quickly, and efficiently locate lost items. So, instead of relying on devices to do the talking, Pixie’s system relies on their fobs (known as “Pixie Points”) to communicate their distance and location from one another, similar to how GPS works. Pixie Points: These are the fobs that use mesh networking to connect. One point is placed on the tracker (either an iPhone or iPad) and the others on objects the user expects they’ll need to locate in the future. Pixie Location Engine: Users download the Pixie app to their mobile device and allow the proprietary engine to power the location triangulation process. Pixie Cloud Services: The Pixie cloud keeps users’ data backed up to the cloud so that users can switch between devices. The only catch is that users have to remember to place one of their Pixie Points on the item they want to track down before it goes missing. Once this happens, however, the technology itself is incredibly powerful. Indoors, Pixie can locate items between 30 and 50 feet away, even if they’re hidden beneath other objects or in other rooms. Outdoors, Pixie works up to 150 feet. The app then gets users within inches of the tracked item. Perhaps the most innovative piece of this technology is the Pixie Dust augmented reality aspect. 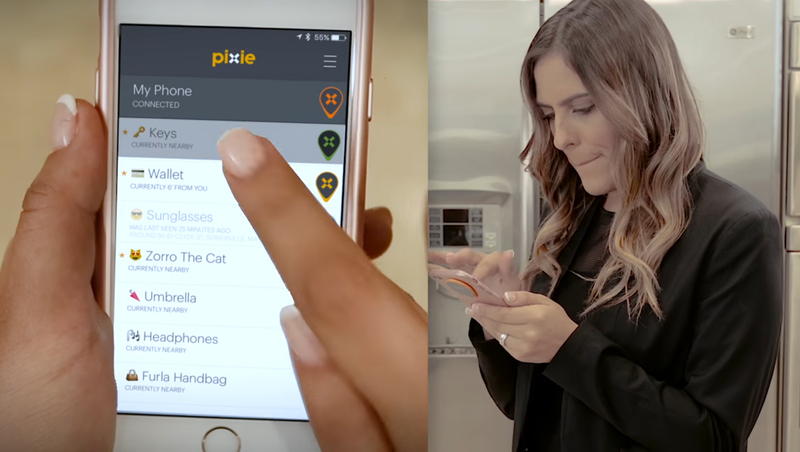 Unlike other Bluetooth trackers like Tile’s Mate and Slim or PebbleBee, Pixie does not rely on metal detector-type beeps and radar to guide users towards their lost objects. Think of the Pixie Dust app interface like a non-game version of Pokémon Go. When users turn the app on, they use the camera-type viewfinder to point them in the right direction. A colorful pixie dust overlay lands on top of the screen when the mobile device is pointed in the direction of the object. Tucked beneath pillows, hiding in other rooms, or accidentally dropped in the driveway, the Pixie Dust points users directly to their lost object. With a growing need for technology that integrates with our current devices and improves the ease in which we go about our lives, it’ll be interesting to see where Pixie takes us next. There are still a lot of things around the house that I lose on a regular basis. There is very little you can do when yo have a short term memory that is a bad one. My first question is why the fob couldn’t be smaller? Having a fob like that on the back of my phone is going to get caught in my pocket, or just add a weird weight distribution that I am sure will cause issues while handling. I thought that as well. However, if I were to buy this, I would most likely put the fob on something a little bigger. I am not sure I would need one on my phone since it is in my pocket 24/7 anyways. I am thinking all the components on the inside of the tracker are the reason it is this size. However, if they want to be able to track things smaller than your phone, you would think the device would need to be smaller. I get the need for a better “lost and found”, having something like this attached to the back of my phone is going to be cumbersome.